The Davey Tree Expert Co. promoted Eric Countryman to district manager of the east Pittsburgh residential/commercial (R/C) office. Countryman started his career at Davey in 2005 as a summer intern with the Davey Resource Group. He has worked in several Davey residential/commercial offices. In 2014, Countryman transferred to the east Pittsburgh R/C office. He will also be an occasional guest on KDKA’s “Organic Gardeners” Sunday morning show as part of the Davey team of tree experts. Countryman is a 2009 graduate of the Davey Institute of Tree Sciences, which is Davey’s flagship training program in biological sciences, safety, tree and plant care and management techniques. He is an International Society of Arboriculture Certified Arborist and holds a bachelor’s degree in biology from Case Western Reserve University. Lynda Wightman has announced her retirement from Hunter Industries to coincide with her 35th anniversary as an employee, effective Feb. 18, 2020. Wightman has served as Hunter’s industry relations manager for landscape irrigation and outdoor lighting for more than a decade and has held various other sales and leadership roles over the past 34 years. Education has been her passion throughout her career, as seen in her stewardship of the National Association of Landscape Professionals (NALP) National Collegiate Landscape Competition, Sports Turf Managers Association (STMA) Student Challenge, and countless seminars she personally taught at colleges, universities and markets domestically and abroad, according to Hunter. She has received several awards during her career, including the Sam Tobey Lifetime Achievement Award (ASIC), the STMA Harry C. Gill Founders Award and induction into the Green Industry Hall of Fame. Wightman also held leadership and board of directors positions with numerous green industry organizations, including the Irrigation Association, American Society of Landscape Architects, American Society of Irrigation Consultants, STMA, NALP and Professional Grounds Maintenance Society, among several others. Plans are currently being formed to continue support and leadership of industry organizations and partnerships. Ruppert Landscape promoted Steve Faber to region manager in the company’s landscape management division. Additionally, Kurt Myers and Michael Vispi have been promoted to the positions of branch managers. As region manager, Faber will oversee operations in the Lilburn and Mableton, Ga., branches. He has been with Ruppert for more than 17 years and has a combined 25 years of industry experience. He holds a bachelor’s degree from the University of Georgia and is a board member for the Georgia Green Industry Association. Over the course of his career with Ruppert, he has held several positions including field manager, area manager and most recently, branch manager in Lilburn. For the past year, he has also taken on the role of acting branch manager in Mableton while training the next generation of leadership. In 2011, he earned the company’s Clyde Vadner Merit Award, presented to the individual who has demonstrated consistent hard work and dedication leading to exceptional contributions to the organization. Myers has been selected to oversee the Mableton, Ga., landscape management branch. He holds an associate degree in horticultural science from Gwinnett Technical College and has been with Ruppert for more than 12 years. 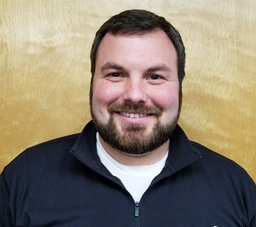 He joined Ruppert in 2007 as an enhancement field manager in the Lilburn, Ga., branch and was soon promoted to enhancement manager then area manager and transferred to the Mableton branch. In 2018, he was chosen to join the associate branch manager leadership training program. He was twice awarded with the company’s Branch Impact Award, which is presented to the employee whose outstanding dedication and contribution have made a positive impact on the organization. Vispi has been selected to oversee the Lilburn, Ga., landscape management branch, replacing Steve Faber as he takes on his new role. He holds a bachelor’s degree in landscape contracting from Mississippi State University and has been with Ruppert for more than 15 years. Michael first started in 1996 as an intern, then officially joined Ruppert as a field manager in the Lilburn branch the following year. He was since promoted to area manager and was accepted into the associate branch manager leadership training program in 2018. He was twice awarded with the company’s Branch Impact Award. As branch managers, Vispi and Myers will be responsible for the overall welfare of their branch, including the safety and development of the team, strategic planning and budgeting, training and day-to-day operations.